That phrase is used a lot in CrossFit. “Becoming Comfortable with the Uncomfortable”. So far, the Open has been hard. I expected it to be hard physically, to push me past my limits into pure exhaustion and into the uncomfortable. But I didn’t expect it to be as mentally uncomfortable as it has been. It is uncomfortable to hear the clock tick down 3-2-1 signaling you to start a movement that 48 hours ago you couldn’t even do and now you have to do at least 30reps to move on. It is uncomfortable to dangle for 2 minutes from a bar kicking your feet and pulling with all your might to try to pull yourself up until your chest gets above the damned bar. It is uncomfortable to have people watching you in what any outsider could consider a failure as you trip on a jump rope over and over, or fail to heave your body up in the air. But part of becoming comfortable is realizing that no matter how you rank against others, those things, while uncomfortable, are not failures. You linked together three double unders when before you could only do one? That’s a success. You got all overhead squats without putting the bar down, even if your score was 10? That’s a success. You managed to get the ugliest, wiggling chest to bar ever seen and it took you a full minute? That’s a success. Unless you are actually trying to win the games, the goal should not be to be the best. You can’t control how anyone else performs. The goal is to be better than you were yesterday. 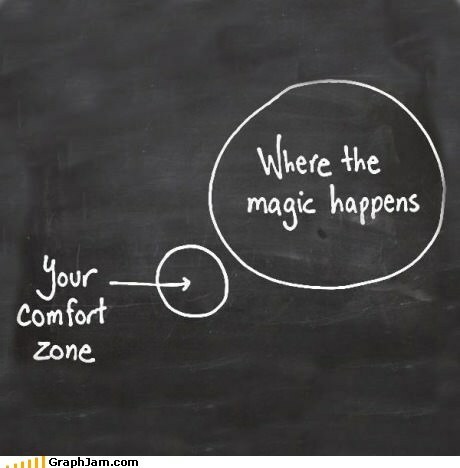 To have pushed yourself outside of that comfort zone physically and mentally. To not give up when you hear the workout is something you can’t do, but to go in and try your damnedest to at least get 1 rep down, without embarrassment or apology. I cannot go to my box now without seeing someone in the corner whipping their shins as they practice double unders over and over, determined to not let them sneak up on them in a work out again. Countless people may have gotten a 10 on 14.2, but they learned that their working overhead squat weight should be 65#, not 55#, since they were physically capable of doing it, even if it was a little bit shaky. That is learning to take a weakness and turn it into motivation. Instead of pushing what you can’t do from your mind, you are forced to meet it straight on, to acknowledge it and to conquer it while people watch. That is becoming comfortable with the uncomfortable. And to me, that’s what the Open is all about. Have you been able to do all the moves in the workouts? If not, how have you felt about it? What would your ideal open work out be? This entry was posted in Uncategorized and tagged 14.1, 14.2, CrossFit, crossfit open, diet, fitfam, fitfluential, Fitness, Workout by fionaboger. Bookmark the permalink. I have to say that I was super sad to see those c2b pull-ups last week. That said, I did get a few and managed a score of 33. 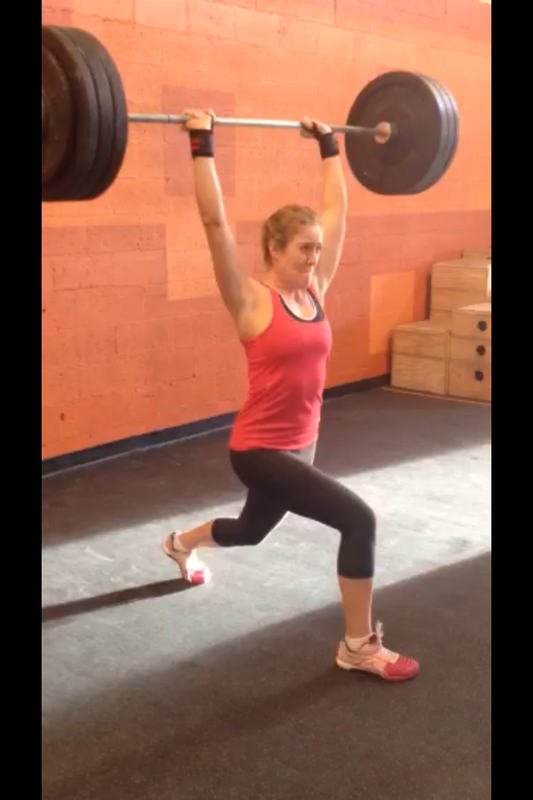 14.3 is probably the best for me so far, but bad timing because my back is sore. Oh well. Just trying to do my best! I’d choose something cardio and something heavy together. 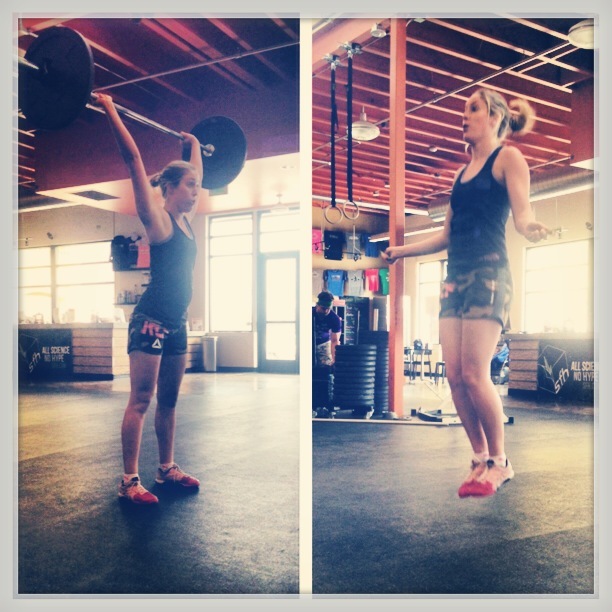 What I love most about CrossFit is how I find myself doing what I was sure I *couldn’t* do. When I first started, my deadlift was 35 pounds (I kid you not!). 2 1/2 years later, I’m at 115 pounds – more than what I weigh. It might not be a lot to most, but to me, that’s a success!